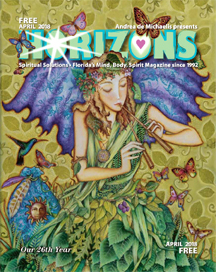 The April 2018 Horizons is now online at http://horizonsmagazine.com/mags_online/4-18-Issue.pdf . The flipbook version is at http://horizonsmagazine.com/fb/4-18/index.html. We are honored to have nationally known Maya White doing the monthly horoscopes. Maya White is a Master Destination Astrologer and one of only 90 people in the world certified in Astro*Carto*Graphy, a specialized branch of astrology which helps people find their perfect place on earth for love, prosperity, and personal growth. Visit Maya’s website and for an introduction to Maya White, read here http://horizonsmagazine.com/blog/introducing-horizons-new-astrologer-maya-white/ Contact her and ask what she might do for you. Here are this month’s horoscopes: Cusp dates are accurate for 2018. Sometimes the actual date the sun enters the sign varies by a day or so because of a leap year, or, even the time of day. I assure you these cusp dates are correct for 2018. This entry was posted in Uncategorized on March 31, 2018 by Andrea. What are you ready to roll the stone away from and release? 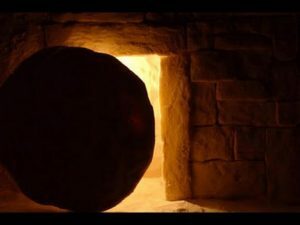 Today we celebrate overcoming being hung up, rolling the stone away and rise anew into the emergence of our Sacred Self. We forgive ourselves and each other. When forgiveness takes place, we enter into that holy space to accept healing, love, and joy. Healing takes place when we forgive and heal everything from our past, leaving no stone unturned, no person passed over. We become healers when we have healed our own past, and made peace with all persons. That makes us a very powerful force in this world. This Easter I am grateful of this reminder. I liken it to forgiving everyone everything before coming to the altar to pray. It’s powerful stuff and it’s the stuff true unconditional Love is made of. Only Love is real. Everything else is illusion. Adding to the confusion.